Is Garmin's ecosystem edging ahead of the competition? Behind every brilliant - and not so brilliant - GPS sports watch and fitness tracker there's a smartphone app and a web platform. TomTom has MyRun, Polar has Flow, Nike has Nike+, Adidas has MiCoach and Garmin watches have Connect. What these bits of software are supposed to offer is a suite of extra tools to help you get more from the piece of tech on your wrist. In addition to getting into the detail of your latest run or ride stats, they offer things like goal-driven training plans, community challenges and the ability to build your own network of like minded fitness buddies from friends, family and random people from around the web. While it's true that you can use your watch without ever bothering to fire up the app or website, good partner tools can transform a good wearable into a great fitness tool. So how does Garmin Connect stack up? Wareable's fitness editor, Kieran Alger, has been getting stuck into the recently updated offering. Garmin's web tools have improved vastly in the past two years. The dashboard design has more than a hint of Windows tiling about it, with drag and drop widgets that make it pretty straight forward to create customised dashboard tabs. You can add as many widgets as you like, to as many dashboard tabs as you need, from the increasing array of options. It's very handy for people who own more than one Garmin device, say a Garmin Vivofit and a Garmin Forerunner 225, and want to keep their general activity tracking separate from running stats. It's also great for multi-sport fans like duathletes and triathletes who are likely to want to track their training progress across the different disciplines and store the data separately. Within the web tools, Garmin Connect's range of features is almost second to none for breadth. There's everything from off-the-shelf training plans and bespoke workout creation tools, to the ability to find new running routes, or join groups, and compete across a range of challenges. It means there's plenty to appeal to the solitary athlete and those who prefer the motivation of community. For pretty much every Garmin Connect feature there's a dashboard widget that provides an at-a-glance view of the information relating to that service, or you can click through to a page to dig into the data in more depth. Admittedly these aren't always presented as slickly, and aren't always as capable as some other apps that offer the same features, but they are reasonably straight forward to use. 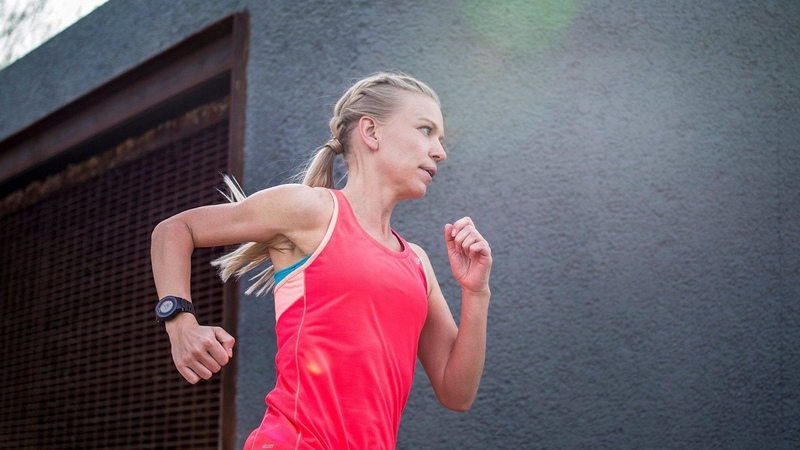 Garmin Connect has a decent range of off-the-shelf training plans to help you prepare for everything from running a 5km to taking on an Olympic triathlon. You can choose plans across three difficulty levels and opt for plans based on heart rate if that's your thing. What you get is a schedule of sessions, created by an expert coach, based on a set duration of 12, 14 or 16 weeks, where the number of sessions you do per week can be anywhere between three and eight. When you schedule the plan you can choose between an upcoming race date or a date to start your training programme. There's not much flexibility here. All the marathon plans for example are 16 weeks in duration and the 5k and 10k are 12 weeks. While that might be the what Garmin's expert recommends as the optimum training period, there's rigidity to it that will make it less useful for many people. Building your own training plan is possible but only by creating a series of workouts that you then add to your calendar. It seems a shame that you can't edit the off-the-shelf plan to amend to meet your preferences. The Garmin Connect Goals tool is a brilliant example of a feature that narrowly misses the mark. You can create a huge range of different types of goal, from miles run in a given month, to number of gym sessions in a week. Each of these can be added as it's own dashboard widget so you can track your progress. The ways you can devise to challenge yourself seem endless, but the design and presentation are a bit lacklustre. It's also really unfortunate that friends can't join in on these goals, somewhat killing the social competitive element. Connect does have a Challenges feature, which is where this kind of motivating social competition should be at it's strongest but at the moment there's only one challenge to join, a weekly steps based challenge, so it's a big disappointment. The only way to create a bit of competition is to set up what Garmin calls a Group. These are potentially really powerful pages, offering a way for groups like a local running clubs to come together in one virtual space, sharing runs, stats and comments. For each Group you set up you get a nice landing page that can be public or private, open to all comers or by invitation only. From here you can see other members' recent activity, you can post bulletins and see a leaderboard ranking people against the group goal. You can also manage a calendar of events, load up routes and see the fastest times for the people in your group on local segments. Garmin has created a very useful tool with the only real problem here is that everyone in your running club will have to be tracking their activity using a Garmin device. Sadly, in the real world that's highly unlikely. One area where Garmin Connect represents a refreshing approach is that it plays nice with a number of other sport and fitness services. It'll ingest your calories consumed data from MyFitnessPal and fire your calories burned back the other way. You can also share run and cycle tracking stats logged by Garmin devices into the Strava app. However, while you can create dashboard widgets in Garmin Connect that show your MyFitnessPal data, there's no flow of stats from Strava into Connect. It's a one-way stream that simply allows for activities you track on your Garmin device to be uploaded into the Strava app. Some Garmin devices offer wireless syncing with Garmin Connect, either via Bluetooth on the smartphone app or by setting up your device to sync over your wireless network. You can also sync by hooking your devices up to an internet connected computer via USB. We found syncing via USB was fast and pretty painless but for those who find that too old school then the wireless options also synced reliably and uploaded our data pretty fast. There were a few occasions when our Garmin Forerunner 225 and the iPhone 6 we tested on but not frequent enough to be a frustration. And the fact the sync process is automated provided your iPhone Bluetooth is on, and your connected to the internet, is a big plus. The Garmin Connect smartphone app is generally well put together. It's not the best designed app we've ever seen but it's also not the worst. One slightly perplexing anomaly is that the dashboard on the app doesn't mirror your web dashboard. The customisations you make online don't transfer across. Instead, in app you're presented with a list of options that you can toggle on an off and order depending on your priorities. These include steps, active calories, MyFitnessPal, sleep, leaderboard, weight and activities. While you do get easy, one tap access to more detailed stats on all of your recent activities, the choice of information available definitely makes the Garmin Connect smartphone app feel more targeted toward general fitness - the step and calorie counters - more than the amateur athletes. Once you're on a workout summary screen you get a decent at a glance view that offers an interactive map of your route, as well as your time, distance, average pace and calorie burn relating to that activity. For those that want to go deeper, there's a more detailed summary screen that layers on stats like elevation gain, moving time, average moving pace, heart rate and running dynamics like cadence and stride length, provided you've logged your run using a device that captures this information. There's also the usual lap splits and a final screen that feature fairly basic graphs for elevation, pace, heart rate and cadence. Overall that's a level of depth that puts it up with most other apps, albeit the presentation isn't as slick as a Strava or Endomondo. Where the smartphone app really lets the Garmin Connect experience down is the limit to the actions you can take in the app. While it's fantastic for reviewing what you've been doing, there's a distinct lack tools in the app that let you plan and schedule. For example you can't create a workout session in the app and send it to your device. That has to be done on the web tools. You can only manage pre-created on and off your device. It feels like a big trick missed by Garmin when apps like Endomondo and Runkeeper can quite happily let you create interval sessions in app on the fly. You can only see data for challenges you've already joined via the web, you can't create your own challenge or search for new ones to take part in. The same goes for Courses, which only shows you routes you've cycled or run and added from via the web. About the only thing you can control from the app is your segments. This is a concept borrowed from Strava that lets you race against other Garmin users' fastest times for specific routes, stretches of roads and hills in your area. Within the app there's a list of all of the Segments you've crossed on your recent outings plus a nice interactive map that lets you find other segments nearby, favourite them and then send them to your Garmin device. There is one big problem here though. The list of segments is huge and your only option is to send all of them, or none at all to your device. And that means you could be syncing dozens rather than just the ones you plan on attacking. It's these little frustrating details the mean Connect narrowly misses the mark. Garmin Connect is growing and developing platform with a rich suite of tools for runners of all levels. However, what lets it down is the smartphone app. It's not that what's in the app is bad, it's just there's not enough control. Too many of the rich web features haven't made it to the app, taking away a chunk of spontaneity and flexibility. Overall, it's a very solid attempt to offer a more holistic view of your fitness and well being that extends beyond the simple notion of how far and fast you went last time you trained.